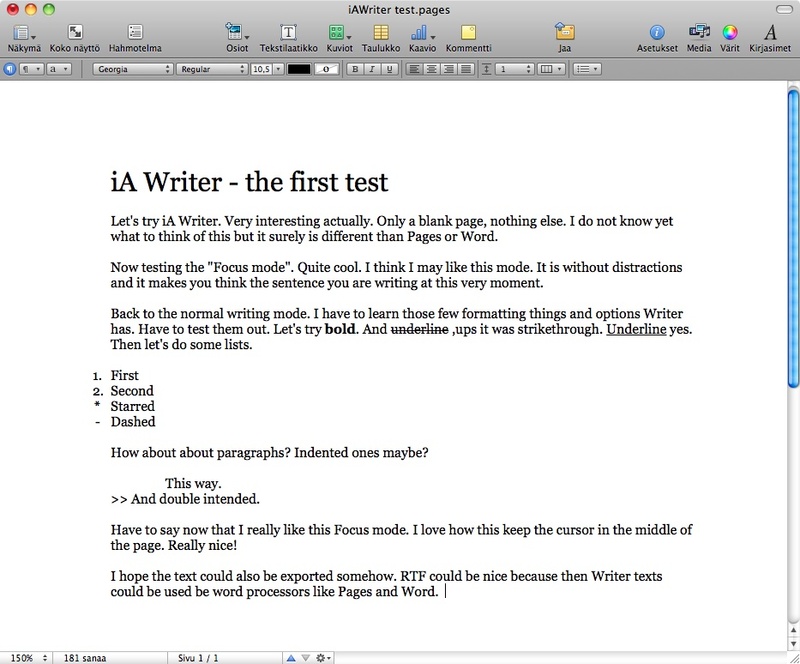 Above is a screenshot from Pages word processor and I am very pleased that the formatting done in iA Writer is there. Fantastic. I think iA Writer will be nice for outlining research articles and ideas. It is fast and simple. Without any clutter. Check out more from iA Writer web site.